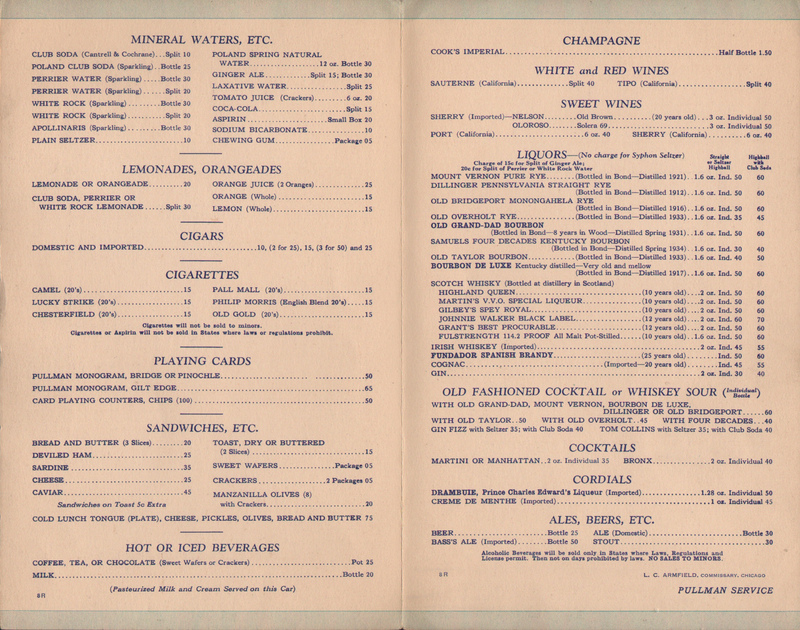 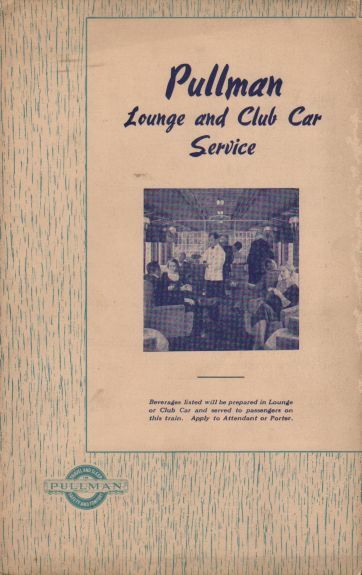 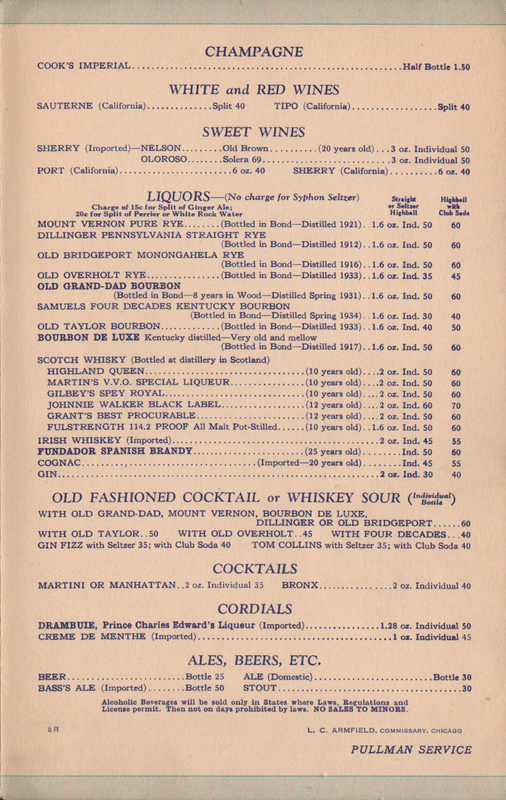 Description Pullman 1940 Lounge and Club Car Service Menu featuring a picture of a period club or lounge car interior. 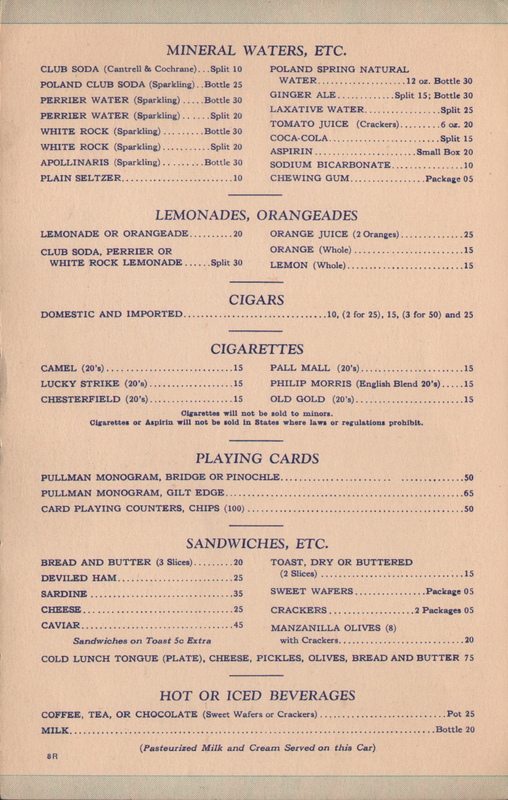 Most items on the menu are beverages or tobacco, with some light snacks and sandwiches. 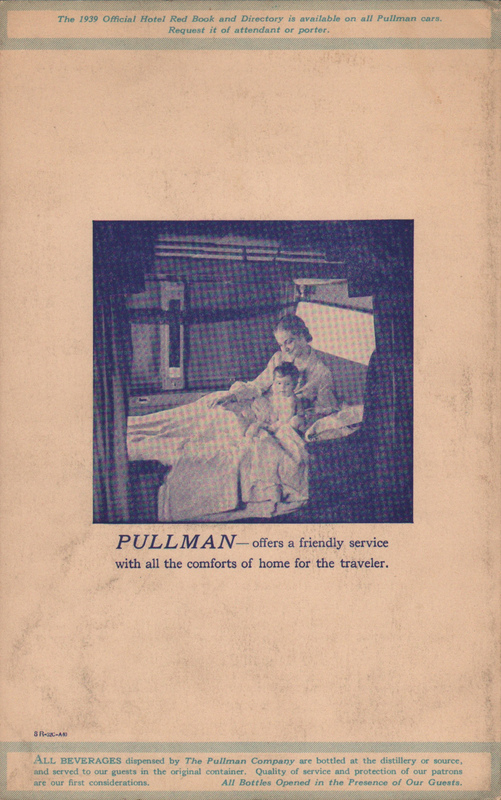 This picture was used on numerous stock covers for Pullman Lounge Car Menus during the late 1930s and 1940s.